Haig planned to continue----the Passchendaele ridge was not too far away and it would be a good final position to spend the winter. On the other side, German General Sixt von Arnim decided that enough was enough and determined to remove the British from their tenuous position to the south of the extensive Broodseinde Ridge, virtually the last major position before the infamous village. He received three fresh divisions from Ludendorff's general reserve and chose the early morning of October 4th for this assault. The ANZAC and accompanying British forces detailed for Haig's assault against the ridge were due to move off behind the barrage at 0600. The Germans, however, moved off the same day at 0550. They walked straight into the British barrage and were at an immediate disadvantage both then and for the rest of the day. 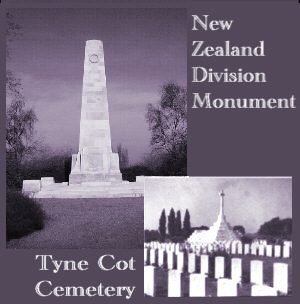 The ANZAC troops they were facing made the most of the chaos caused by this ten-minute difference in the timing of the assault. German casualties and loss of ground were extensive. This gave the British troops an extensive foothold on Broodseinde Ridge, well positioning them to capture Passchendaele. To the south round Gheluvelt the attack by the British Army was not so successful. Then it started raining again and continued for the next four sodden days. The next British attack was timed for 0520 on 9th October. Artillery was becoming a problem since the shells were burying themselves in the mud and often not exploding; many remain in the mud giving work to the bomb disposal squad to this day. There was a degree of fighting in front of Poelcapelle in the northern sector of the Salient on the 22nd, but by this time the British forces, including the ANZACs, were worn out, having faced twelve new German divisions released from the Eastern Front. The German defending forces now had a rethink of their tactics. Previously, British creeping barrages had worked extremely well as the attacking units leapfrogged forward past the heavily defended German front line. Having cost them greatly at Broodseinde, the German high command decided on a lightly held front line with a well defended consolidated position some hundreds of yards behind. This would prove more lethal to the attacking forces in the end game of the battle. At 0540, 26 October, the Canadian Corps under Currie, together with Australians and some British Divisions, went in for what became known as the Second Battle of Passchendaele. It was the last assault. At tremendous cost in men, on both sides, they finally struggled into Passchendaele village on the hill. There was nothing there. Photos of the time show MUD -- nothing else. There was no village, just sodden men trying to survive in the endless filth and waste. If the British could have raised themselves twenty feet out of the mud they would have seen the green fields stretching away to Menin, but no man could. The armies stayed here until April 1918, when the Germans launched their major assault which took them to the very gates of Ypres. But that is another story. Today the Salient is the biggest graveyard in the world, not of men buried with due pomp and ceremony but of those lost, drowned, obliterated. There are maybe 200,000 of these lost souls of all the armies. Spare them a thought as you walk these green fields. Hilton U. Brown and Paul Van Dyke Brown were brothers from Indianapolis who served with distinction with the 7th Field Artillery of the 1st Division in France. Hilton was killed in action on November 3, 1918 after the AEF had made their big breakthrough. Paul was awarded the Silver Star for inspiring leadership of his battery--despite the explosion of one of their pieces--during operations around Eglissfontaine and Apremont in mid-October 1918. He was gassed and shell shocked during the later stages of the Argonne operation. After the war, he named his son in honor of his brother Hilton. In his postwar career he was executive of the Indiana Department of Conservation, an official with the U.S. Park Service, and headed the Washington State Department of Parks. Tom Phelan, a past contributor to the St. Mihiel Trip-Wire, has written a terrific novel of World War I and its effects on the Irish. The Canal Bridge (Lilliput Press, Dublin: 2005, ISBN 1 84351 075 8) is the story of two young Irish men who joined the British army in World War I. They sought adventure and, more important, a chance to earn steady income to send back to their families. Their choice to enlist was not taken lightly and was not popular in their small Irish village. The years 1913 through 1918 were rife with the forces that shaped the Irish Free State. 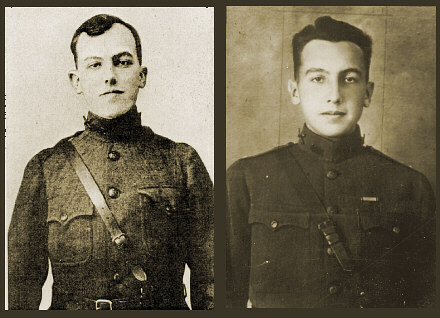 While enlistees fought the Great War, rebellion in Ireland was gathering steam. Tom Phelan's book is meticulously researched and powerfully written. The novel follows two young men, Matt Wrenn and Con Hatchel. They enlisted in the British army and thought they were going to India. Hostilities broke out in Europe and they were redirected to France where they found themselves in the heat of battle. As stretcher-bearers, they struggled with horrific experiences of battlefield injury and death. Irish soldiers who survived World War I did not come home as heroes. Instead of realizing their dreams of returning to their idyllic villages, they returned to an Ireland that, to quote William Butler Yeats, had "changed utterly." They returned to bitterly divided loyalties as the Irish civil war gathered steam. 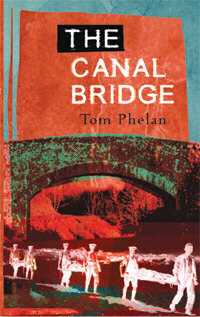 In an interview, Tom Phelan said that his inspiration for The Canal Bridge was World War I veterans he knew and stories he heard as a child in Ireland. His novel is not just a graphic description of the horrors of the Great War. It also presents the moral dilemmas of those who fight as well as those who stay behind. To order copies of the book in the U.S., contact Glanvil Enterprises, 237 Church St., Freeport, N.Y. 11520 or email Glanvil3@aol.com. Tom Phelan's web site is www.tomphelan.net. Robert E. Sherwood won the first of four Pulitzer Prizes for his 1936 anti-war play, Idiot's Delight. The original Broadway cast starred Alfred Lunt and Lynn Fontaine. 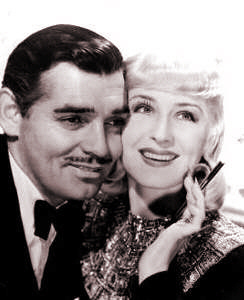 The 1939 film version from MGM starred two of the studio's biggest stars, Clark Gable and Norma Shearer. The transferral from stage to screen, even with a screenplay by Sherwood himself, resulted in a stylish but very uneven production that's mostly recalled as the one movie in which Gable sang and danced. The story behind the film's production and the censorship it encountered on the way is rather interesting. Robert Emmett Sherwood was born in New Rochelle, New York on April 4, 1896 and was educated at Harvard University. Rejected by the U.S. Army, he went to Canada and enlisted. He served in the Canadian Black Watch on the Western Front. In France he was gassed and also suffered a shrapnel wound in his leg. He was discharged in 1919 with a firm belief in the waste and stupidity of war. He would never enjoy good health again and by the mid-thirties he had developed a serious case of tic douloureux, a painful facial malady. After the war, he worked as a movie critic for Life and Vanity Fair. In 1919, he became part of the famed Algonquin Round Table with his close friends Dorothy Parker and Robert Benchley. His first play, The Road to Rome (1927), was a successful anti-war comedy about Hannibal's invasion of Italy during the Punic Wars. In 1953, Jupiter's Darling, a movie musical based on his play was released. It starred Howard Keel and Esther Williams. By the 1920s, Sherwood was also writing for Hollywood, usually adapting his plays to the screen. In 1931 Waterloo Bridge, starring Mae Clarke and Kent Douglass ( Douglass Montgomery) and directed by James Whale, was released. It dealt with the doomed love affair between a London prostitute and a soldier on leave. The storyline was so popular it would be updated to World War Two and used twice more, as Waterloo Bridge (1940) and Gaby (1956). In 1936, The Petrified Forest, based on Sherwood's 1935 play and starring Leslie Howard, Humphrey Bogart and Bette Davis, was released. One of its main characters is an embittered World War One veteran. It, too, would be updated and remade, as Escape in the Desert (1945). Sherwood recognized the growing threat of fascism in the late 1930s and began to write plays dealing with the need for the United States to confront the new menace. Abe Lincoln in Illinois, about a nation on the verge of war, won the Pulitzer Prize in 1938. His third Pulitzer Prize in 1940 was for There Shall Be No Light, about the Russian invasion of Finland. The Rugged Path starring Spencer Tracy as a liberal pacifist who turns action hero and dies fighting the Japanese, was produced in New York 1945. Sherwood worked for Franklin Delano Roosevelt as one of his principal speechwriters and served as a Director of the Overseas Branch of the Office of War information. He won the Academy Award in 1946 for his script for The Best Years of Our Lives. His fourth Pulitzer Prize was for biography for his nonfiction book, Roosevelt and Hopkins: An Intimate History, in 1949. Sherwood died of a heart attack on November 14, 1955. 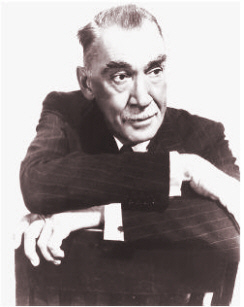 In September 1934, Republican Senator Gerald Nye of North Dakota opened the Nye Committee investigations into war profiteering by American munitions manufacturers, the "Merchants of Death." Although little evidence was produced to prove that there had been an international conspiracy by the manufacturers and bankers to start and prolong the war, Sherwood and many other members of the public remained convinced of "the devil theory of war," that the war was fought (according to Nye) "to save the skins of American bankers who had bet too boldly on the outcome of the war and had two billions of dollars in loans to the Allies in jeopardy." As produced on Broadway in 1936, Idiot's Delight told of the start of a second world war caused by an Italian invasion of France. The setting is an Italian small hotel near the Swiss border. With a surprise air attack on Paris the border is closed. There's the usual assortment of desperate people trying to get into Switzerland: an English couple on their honeymoon, a French pacifist, a German scientist, an American munitions manufacturer and his "Russian" mistress, and an American entertainer traveling with his six chorus girls. All their lives are changed by the war, except for the munitions manufacturer, who betrays his mistress because she knows too much about his business. The Englishman decides to return home to enlist. The French pacifist faces a firing squad. The German scientist drops his cancer research and returns to Germany. The apolitical American entertainer arranges for his chorus girls to leave and recognizes the "Russian" mistress as a stranded American performer with whom he once had an affair in Omaha. They stay at the hotel after everyone has left and are finally killed by a stray bomb. The play was blatantly anti-Italian and obviously anti-war. MGM bought the rights from Sherwood for $125,000, but the studio was afraid of losing distribution profits in the European markets and tried to work out a storyline that wouldn't offend the Italians and result in a boycott. Instead of the play's specific attack against Italian fascism, the screenplay covered a general antiwar theme. Instead of Italian, the aggressors spoke Esperanto! 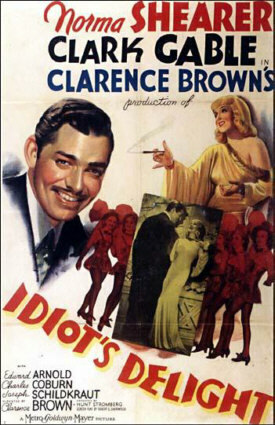 The re-writes by Sherwood (for an additional $135,000) and the talks with the Italian diplomats delayed production, and Idiot's Delight was not released until February 1939. Part of the problem was that Joseph Breen, the ultra-conservative head of the motion picture Production Code Administration, felt that the Jewish studio heads were using the rise of fascism and the Nazis to make propaganda movies against Germany and Italy. He brought considerable pressure on MGM not to make a movie criticizing Mussolini. And this was after Mussolini had invaded Ethiopia, supported Franco and enacted anti-Semitic laws based on those of Nazi Germany! Starring Gable and Shearer, Idiot's Delight had considerable star power. Edward Arnold played the munitions manufacturer, and Charles Coburn was the German scientist. Burgess Meredith played the French pacifist. The opening half hour dealing with Harry Van's (Clark Gable) return in 1918 and the ups and mostly downs of his show business career is supported by montage sequences co-directed by the noted editor and film theorist Slavko Vorkapich. Irene (Norma Shearer) is delightful as the scheming showgirl/acrobat and eventual faux-Russian mistress. But there's little chemistry between the two stars. The production shines with typical 1930s MGM gloss, and the production design team cleverly incorporates subtle swastikas into the interior design of the hotel. MGM even filmed two different happy endings -- one for the domestic market and one for foreign markets. But in 1939, with war on the horizon, it did not do especially well at the box office. Despite the re-writes, it was banned in Spain, France, Switzerland and Estonia. It was never distributed in Italy. Idiot's Delight was released on VHS and laserdisc. It has not been released on DVD. It does air on Turner Classic Movies, with its next broadcast scheduled for December 2007. The following are thanked for their contributions to this issue of the Trip-Wire: Tom Jones, Susan Neeson, Tony Langley, Donna Cunningham, Christina Holstein, Tony Noyes, Andy Melomet, Kimball Worcester, and Len Shurtleff. Georges Guynemer's photo was displayed at Poelcapelle, site of the Stork Monument to him. Robin Clayton contributed the lyrics from Bert Layne early protest song. Until next month, your editor, Mike Hanlon.